Web Design, Search Engine Optimization, Online Marketing, & Social Media. Tips, tricks, pondering and more! Facebook is the most used website on the internet. Second place is Google and if people are on Google they are most likely searching for something. Google is a search engine after all. Google happens to be smart enough to know Facebook is the most used site, and Google wants to recommend the best possible results to you the user. What better results than the most used website? Needless to say Facebook is a HUGE player in SEO and Social Media Marketing. A couple basic Facebook rules your business should follow. Probably?! 1. Engage your fans don't Bore them! Your posts should draw your fans in, linking to interesting content on your blog or website. Don't write long winded post and expect users to read them. Just give them enough to entice them and if they're interested they will follow your link to your website. That is the ultimate goal anyway isn't it?! 2. Don't Flood your fans Feed! We call that SPAM! As a rule of thumb you should never post more than three status updates a day. If you find yourself doing this it's probably time for a Twitter account. To take it one step further spread your post over the course of the day to avoid looking spammy and to ensure maximum exposure. The quickest way to get your feeds hidden, and or unliked is to spam your fans feed with irrelevant content. On the flip side of the coin make sure you don't neglect your page. A minimum of 1 post a week and really it should be more like 1 a day. 3. Give people a reason to LIKE you! Offer specials and deals only available to fans of your page. You can also release information and breaking news on Facebook so your fans are the first to know. Keep your status updates fresh and try to post as much original content as possible. 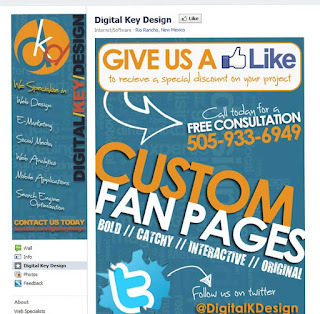 Post pictures and encourage people to interact with your business just like they would one of their friends. Most Importantly find us on Facebook and "like" us! Penguin 2.0 - 4, Are you Ready? 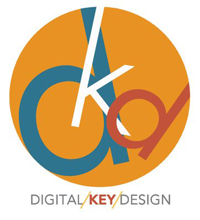 © Copyright Digital Key Design 2012 - 2013 |. Simple theme. Powered by Blogger.